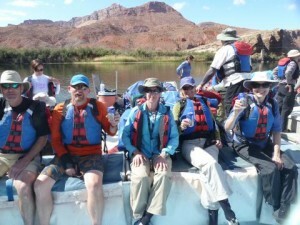 The Six-Day Grand Canyon Whitewater Rafting Trip Was An Amazing, Thoroughly Thrilling And Enjoyable Lifetime Experience. 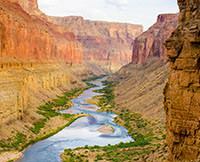 This Grand Canyon whitewater rafting trip was a trip of a lifetime. We had wanted to do this adventure for many, many years, after having hiked Grand Canyon rim to rim many times and having talked to other friends who had done the raft trip. We just can't begin to describe how thrilling, exciting, fun, and aesthetically gratifying it was to ride the Colorado River, especially over the rapids, see the Grand Canyon and side canyons, sleep under the immense and crystal-clear canopy of sky and stars at night, and to share the whole experience with the other participants and the guides, all of whom became fast friends.